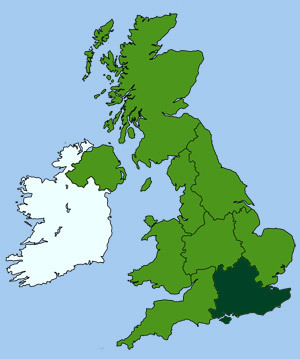 Located in the south east of England, Berkshire is one of the oldest counties in Britain (circa 840). Berkshire is known for its long history of sheep farming and one of the largest sheep fairs in the country is still held at East Ilsley. The county is also home to one the oldest and largest Royal Residences in the World, Windsor Castle. The castle remains one of the Queen's official residences, which is why the county is known as the "Royal County of Berkshire". 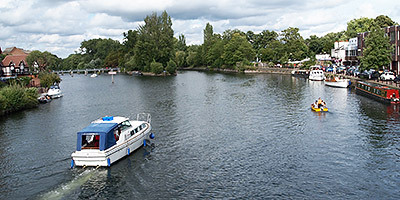 The mighty River Thames runs along Berkshire's north east border, from Old Windsor, via Henley, Reading and Pangbourne up to Goring. This scenic waterway was once a major trade route for the county but is now mainly used for boating, leisure craft and pleasure trips. The ancient tradition of 'Swan Upping' is carried out each year on the river, under the Shadow of Windsor Castle. The tradition dates back to the 12th-c when the crown claimed ownership of all the swans in the country. Mute swans being an important food source for royalty at banquets and feasts. Fortunately swans are no longer eaten by royalty and today this annual census consists of a rounding up of the swans to collect data and assessing the health of the birds. The Swans have their own protector on the Thames (Queen's Swan Marker), who is responsible for their protection and conservation. The chalk downs to the west of Berkshire form a ridge over which runs a very ancient trackway known as the Ridgeway (also part of the Icknield Way connecting east and west Britain). Berkshire has several ancient and important military institutions, including the Royal Military Academy at Sandhurst. The area is also magnificent horse country and the world renowned Lambourn is the centre for horse racing, with flat racing and steeple-chasing regularly taking place at Ascot and Newbury. Thomas Hughes (1857), "Tom Brown's Schooldays"
Berkshire Bacon Pudding - a suet pudding filled with home cured Berkshire bacon. The name Berkshire (originating as Beaurrucscir) means a wooded hill area, relating to the Celtic word 'barro' for hilly and to a large forest of birch trees in this area called 'Berroc'.